South Korean technology giant, Samsung is reportedly planning to release the latest Android 5.0 Lollipop to the 2013 flagship smartphone Galaxy S4 next year. 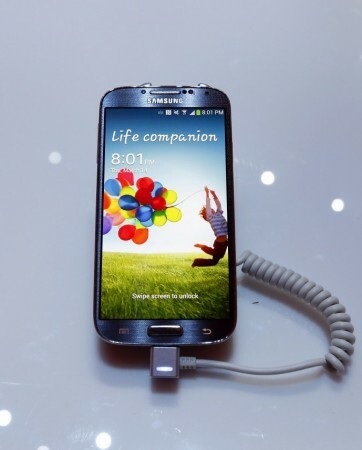 Samsung community blog, SamMobile, citing credible sources has claimed that Galaxy S4 is expected to get the Android 5.0 firmware in early 2015. It specifically mentions that the Exynos Octa-core version - 'GT-I9500' - will get the firmware first and later to Snapdragon variant. There is no tangible proof to support the above report, but going by the track record of SamMobile's previous predictions, there is room to believe Galaxy S4 of receiving the latest update. Galaxy S4, which was released in April 2013, is still under 18-month obligatory software update service, which is another proof that this report may turn true in the coming months. For the past few weeks, rumours are doing the rounds regarding Samsung devices (Galaxy Note 4, Galaxy S5, Note 3) getting the Android Lollipop update. Despite so many speculations twirling on the Internet, the South Korean company has chosen to remain silent. Even Samsung's rivals - Motorola, HTC, LG, Sony, Asus and OnePlus - have officially listed their respective devices slated for receiving the new OS update. Many believe that Samsung should not keep the loyal fans waiting and soon come out to the media and release at least ETA (Estimated Time of Arrival) details of Android 5.0 Lollipop for its devices. For the uninitiated, Google's new Android 5.0 Lollipop OS comes with an overhauled design language material design, bringing in an interactive user-interface, visually appealing graphic design (with bold colours and typography), tactile surface, fluid animation features, replacement of Dalvik with ART as its default runtime and many more tweaks for performance enhancements. Nexus 5, 4, Nexus 7 (2012 and 2013 editions), Samsung Nexus 10 and other Google Play edition devices (Sony Xperia Z Ultra, Samsung Galaxy S4, HTC One M7, M8, LG G Pad 8.3, Motorola Moto G) this November. [Note: The rollout process has been already initiated in select regions, for more information, HERE). The American company was the first Android OEM (Original Equipment Manufacturer) affiliate to confirm the release of Android Lollipop OS update to its devices. The company is slated to rollout the firmware to Moto X (Gen 2. and Gen 1. ), Moto G (Gen 2. and Gen 1. ), Moto G with 4G LTE, Moto E, Droid Ultra, Droid Maxx and Droid Mini. The Japanese consumer electronics firm in its official blog, has confirmed to rollout the new Android OS firmware to all of its 15 Xperia Z-series smartphones. It includes Xperia Z Ultra GPE (Google Play Edition), Xperia Z, Xperia ZR, Xperia ZL, Xperia Z1, Xperia Z1s, Xperia Z Ultra, Xperia Z1 Compact, Xperia Z2, Xperia Z3, Xperia Z3v, Xperia Z3 Compact, Xperia Z3 Tablet, Xperia Tablet Z and Xperia Z2 Tablet. The Taiwanese company has confirmed that HTC One (2013 and 2014), One Mini (1 & 2) and One Max will get an update within 90 days of the release of Kernel code by Google. The company (via official blog) has confirmed that the Google's latest mobile OS update roll out process will begin in April 2015, starting with Zenfone series 4, 5, 6, Padfone S (PF500KL) and later in June for Padfone Infinity (A89). OnePlus One is slated to get new CyanogenMod based Android 5.0 Lollipop custom ROM within three months. During the launch of Android One series devices - Micromax Canvas A1, Karbonn Sparkle V and Spice Dream UNO - at New Delhi in August, Google had confirmed that these devices will also get the new Lollipop update.